Melting Pot Rome, Rzym, Włochy : Rezerwuj teraz! 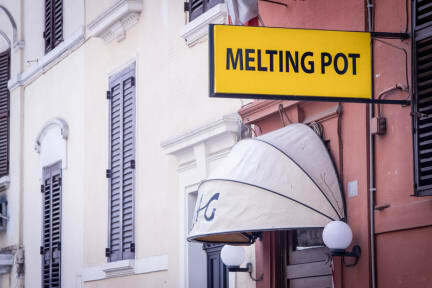 Melting Pot Rome is situated in the heart of the city, quite near to all touristic points and the shopping area. This is a good accommodation option for those on a tight budget. The hostel has bathrooms and air-conditioning in all rooms. The multilingual staff is always there to assist you at maximum extent. City maps are provided for free with wide information about the city and all the places well-known for food and partying. 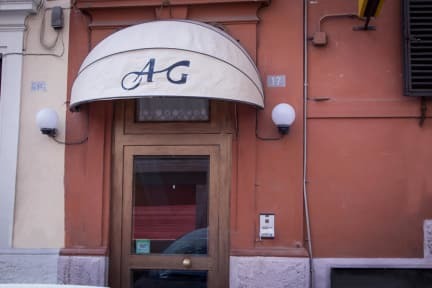 Melting Pot Rome is in a very strategic location, a walking distance from Colosseum and numerous transport options including metro, bus and tram lines, the Eternal City is truly on your doorstep! Budget restaurants, souvenir shops, bars, cafes and pubs surround this Rome budget accommodation. The student district of Rome, San Lorenzo is located nearby with a variety of entertainment options. Melting Pot Rome has 10 simple rooms. It's the ideal place to start discovering the beautiful city of Rome. Check-in from 16:00 to 00:00. Taxes not included - occupancy tax 3.00 EUR per person per night.